Three absolute crackers will arrive at the back end of 2013. Piaggio's BV350, Yourban 300 and X10 500. 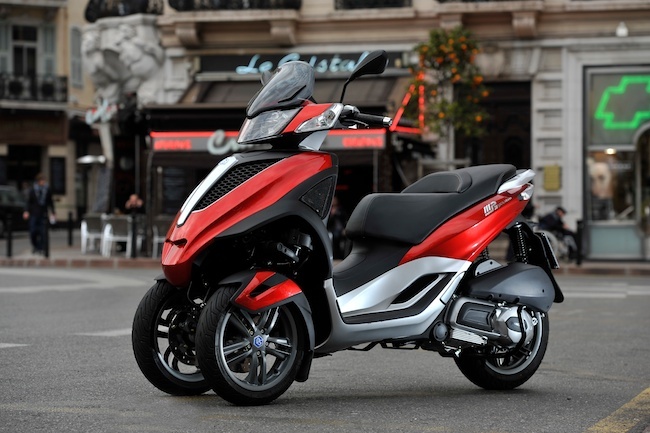 Piaggio Australia have confirmed that three new models will arrive in the 2nd half of 2013. The highly anticipated BV350 (Beverly), the Yourban 300 and the X10 500. Both the BV350 and X10 500 will feature ABS braking standard. The BV350 will introduce the all new mid-capacity 350 class motor not yet seen in Australia. The Yourban is basically a short wheelbase version of the current MP3 and should be a commuters dream. The X10 500 is a top of the range luxury touring scooter with all the gadgets you could ever need. All three are gifted in their own unique way. 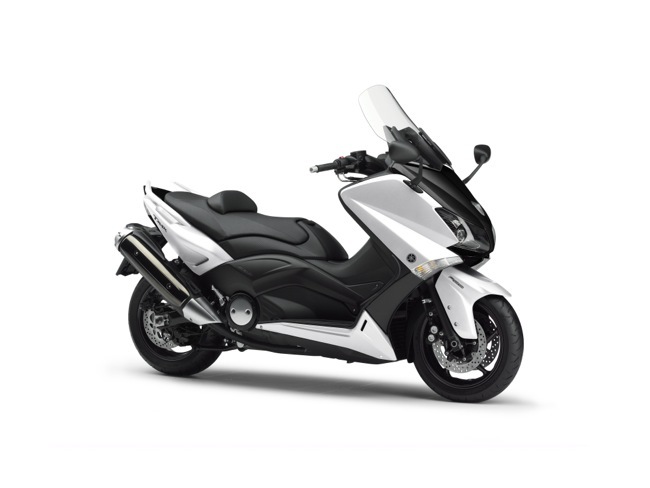 Piaggio are yet to announce pricing for any of these new releases. 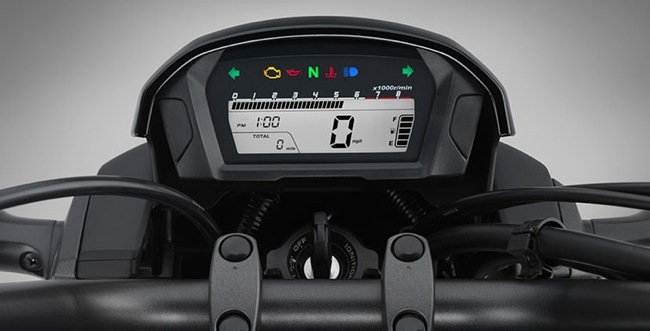 Below we have put together some links to Italian press release information and official Piaggio videos. Start studying up! 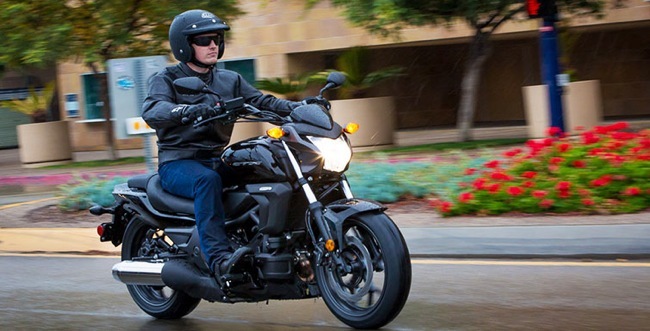 It's official : Yamaha Australia to launch the new TMAX 530 shortly. Because scooters are our thing, we like to keep you abreast of the latest scooter news in Australia and around the world. 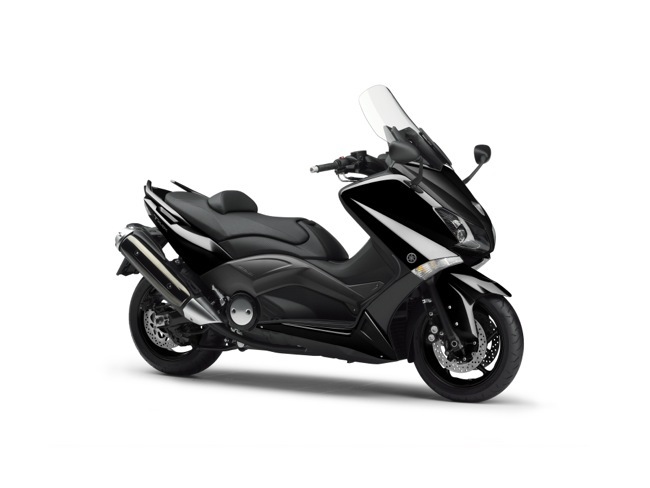 One piece of news I get asked every other week is when will we see the new TMAX 530 from Yamaha. 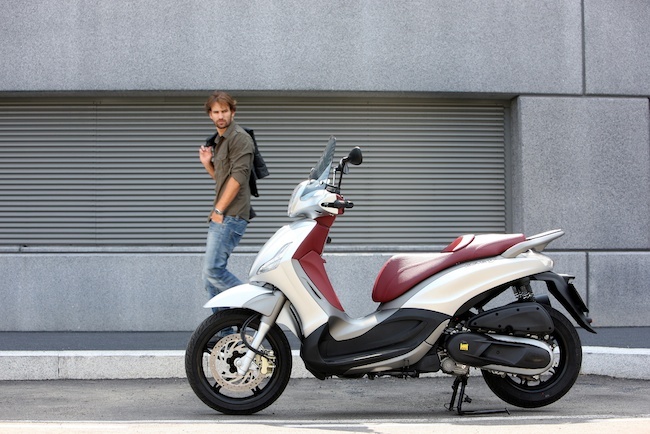 The new 530 model was first launched at Eicma in 2012 and since this time it has constantly been Italy's number one selling scooter. That 2012 launch press release can be seen here. The Australian model will not be fitted with ABS and at this stage we are not certain of pricing or colours available. More will follow as details are released. Italian brand, Italmoto is resurrected for the sale of Italian built scooters, motorcycles and electric bicycles. We know little about the brand, though the company already has a website running and will launch at this years Eicma show in Milan. See more on the companies website or read more via the official press release below. Italmoto, motorcycle producers of noted historical significance, owned by Italiana Veicoli S.r.l., has announced the comeback of well known brand founded in Emilia, north of Italy, in the early 50’s. The company was founded with a clear goal: to improve the quality of Italian labour and offer products “Made in Italy” worldwide. With this concept in mind Italmoto intends to focus on top quality components, care in assembly and finish; all characteristics that have contributed to the Italian motorbikes to be great around the world. Every product is designed and built following quality traditions. Italmoto introduces a range of innovative products, suitable to meet all demands. 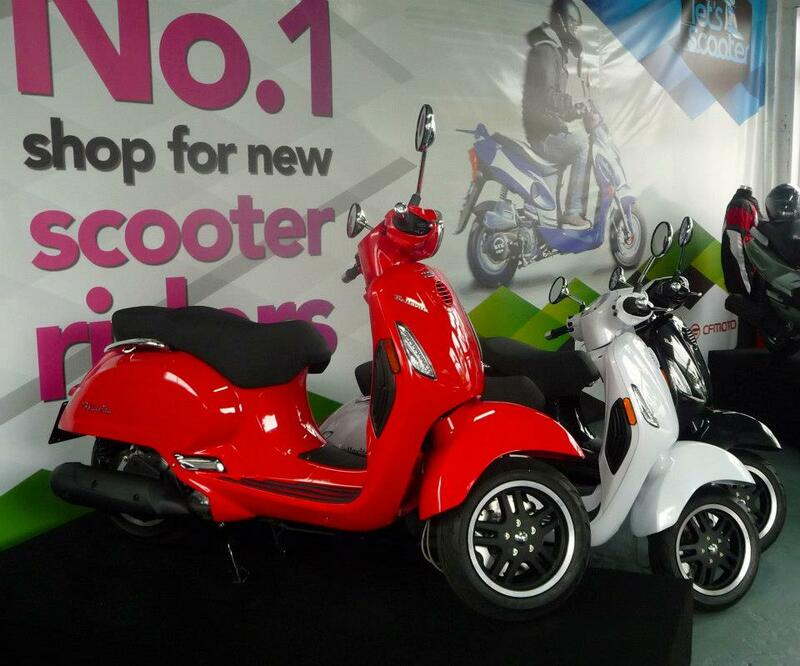 The company offers two models of scooter, a pitbike and a wide range of electric bicycles. Common qualities of all the products are seductive design and technological excellence. The result is an original product in high demand made with passion and competence of skilled experts. The range is already online on www.italmoto.com. The company’s main aim is to the produce vehicles of low environmental impact, from low fuel consumption to the assembling procedures without use of toxic material or polluting and harmful substances. Italmoto has stated that, in addition to the expansion of new 125cc and 250cc motorbikes, it is working on a new hybrid gasoline-hydrogen scooter that can travel over 60 miles with only one litre of fuel. 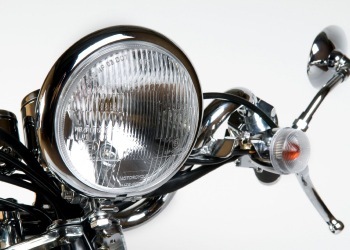 This innovative product will be introduced on the International Motorcycle Exposition in Milan in November 2013. Let's Scooter is pleased to announce Free* rider training workshops every Saturday. As Sydney's shop for new scooter riders, Let's Scooter is committed to rider training and providing the support new riders need. *Just Like Us on Facebook and reserve your space at one of our workshops by calling 02 9938 3628. Don't have a scooter or motorcycle? Hire one of our bikes for the workshop for only $30. Just today, Shirley passed her P’s and was over the moon. 12 months ago everyone told her she couldn’t do it. We offer training across many locations throughout Sydney for the absolute novice to professional riders. Keeping it simple and being flexible around your busy timetable is the key to our success. Are you fully licensed? Haven’t ridden for a while? Feeling rusty? We can help regain your confidence after a period of not riding. Does your business use scooters/motorcycles or do you ride for your job? Our experience in commercial training is well known. Quotes and references available upon request. 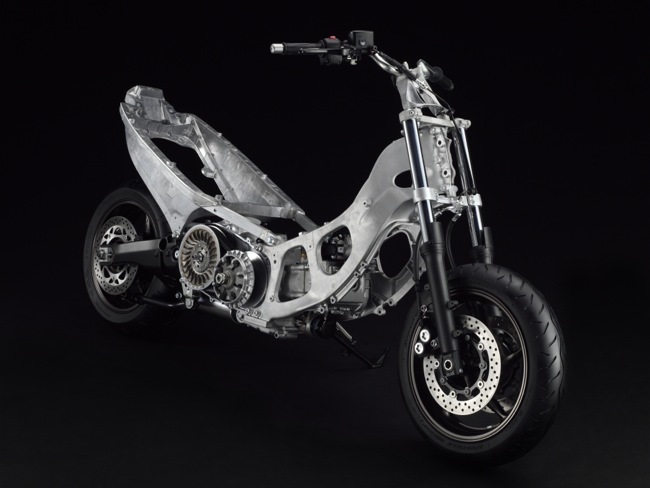 A few full frontal images of the new CTX700 from Honda. 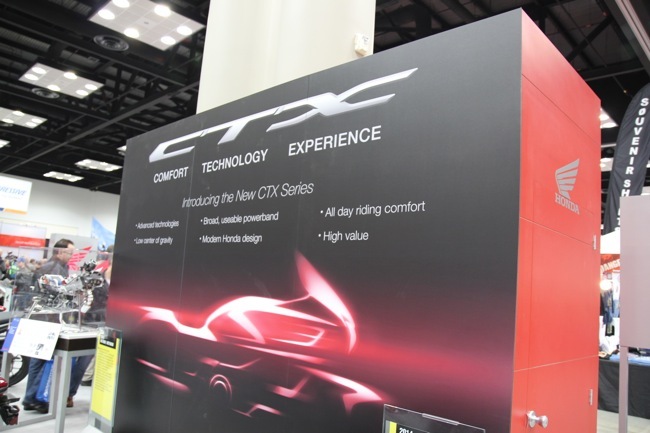 We happened to snag some pictures of the all-new CTX being shown at the Indianapolis International Motorcycle Show. 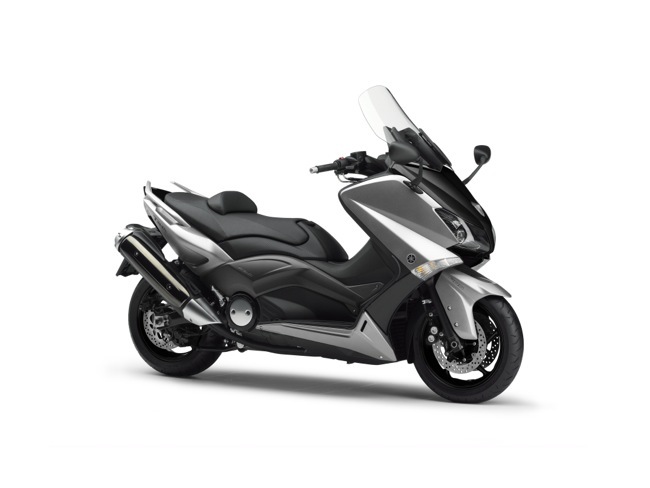 What’s interesting here is that we’d never seen the touring version of the CTX700 from the front in any of Honda's press pictures. We'd only ever seen the naked version full frontal. We’ve also included a list of accessories that will be available for the CTX range in the USA. Use only as a guide for Australia. 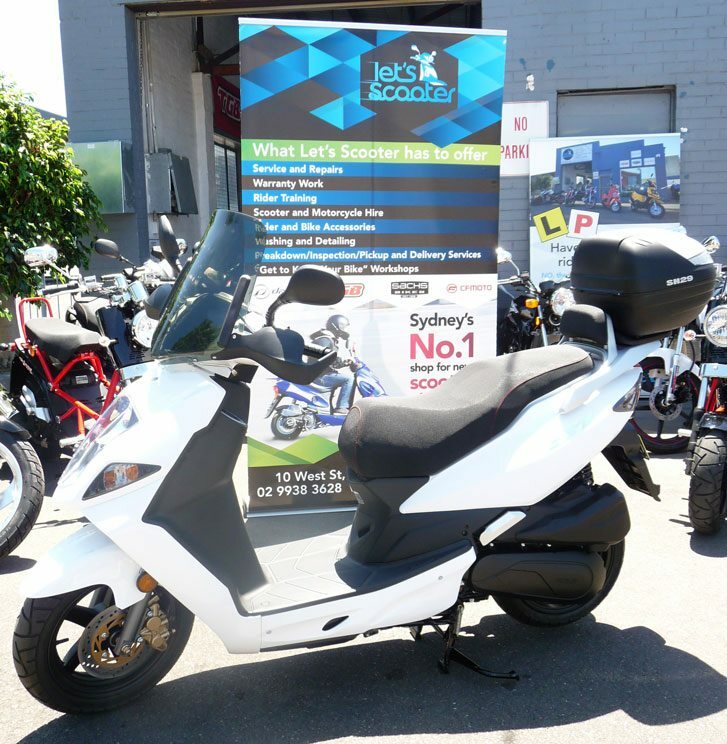 SYM Australia continue to roll out a host of new models in 2013. 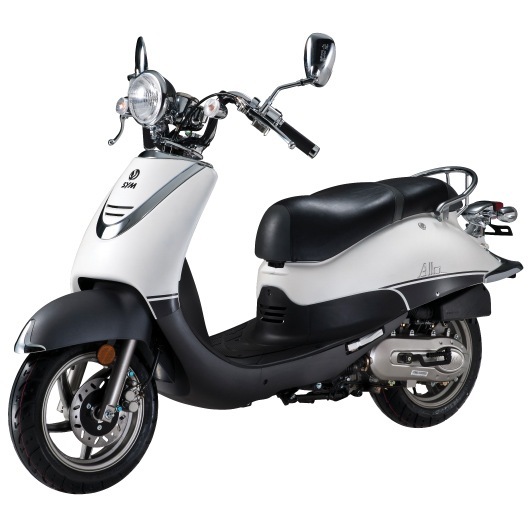 SYM has announced that a 150 cc version of the Jet 4R will be arriving in the 3rd quarter of 2013. This is on top of the Jet4 R 50 that has already been so well received. The $1890 national ride away price, combined with new standard service intervals, a big hit with dealers and the public alike. See more here.. 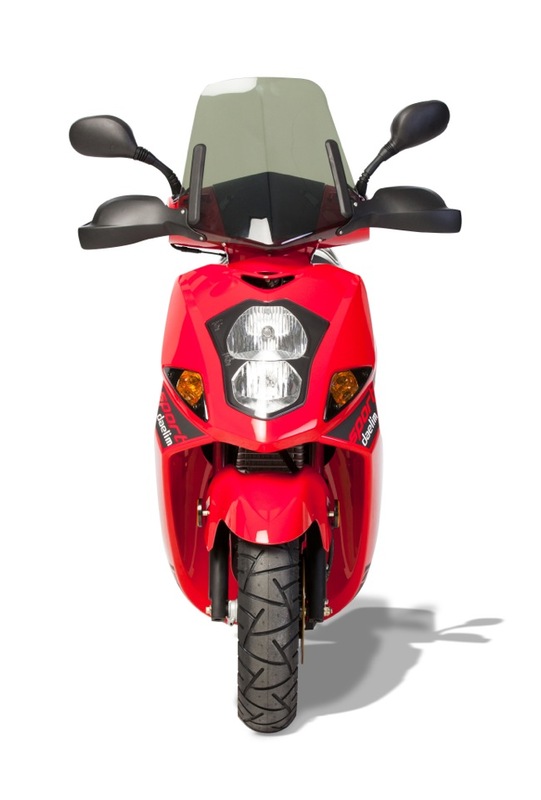 The 150 version of the Jet4 R will share the same body as the 50 cc version. So, same sports style, just triple the power courtesy of a 4 stroke 150 cc SYM engine. 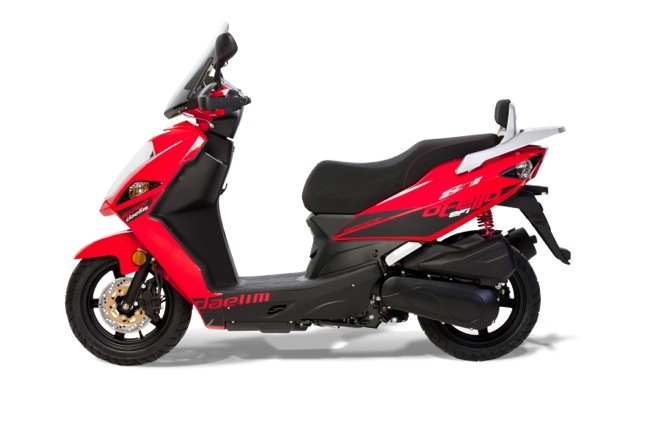 The Jet 4R 150 will join the retro styled Allo 150 as two new models in the SYM Australia model range this September. 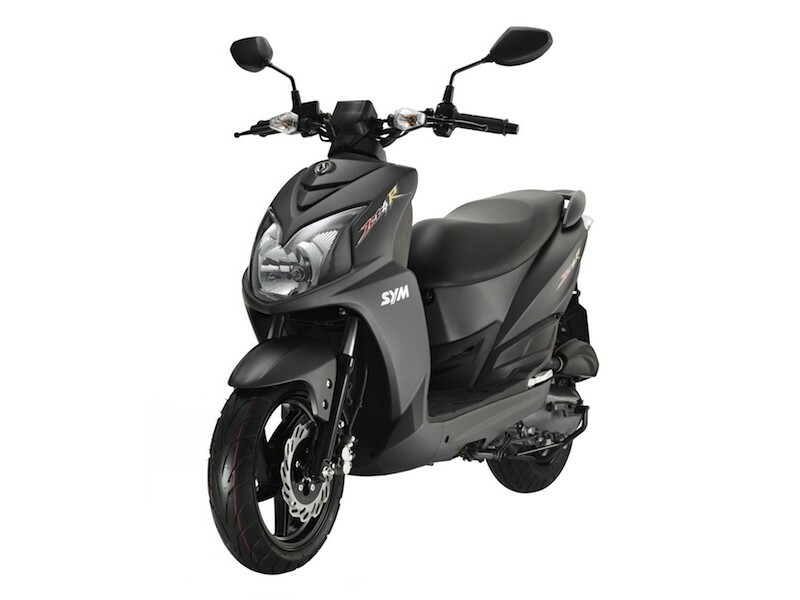 The SYM Classic also looks like joining the party, moving from a 125 cc, to a 150 cc configuration shortly. Expect pricing to be averaged out for all SYM 150 capacity models. Symphony, Jet4 R 150, Allo 150 and Classic 150 will all be set at the one price point. It's going to be up to you to choose a style that suits. New colour to celebrate price revision for the Daelim S1 125. 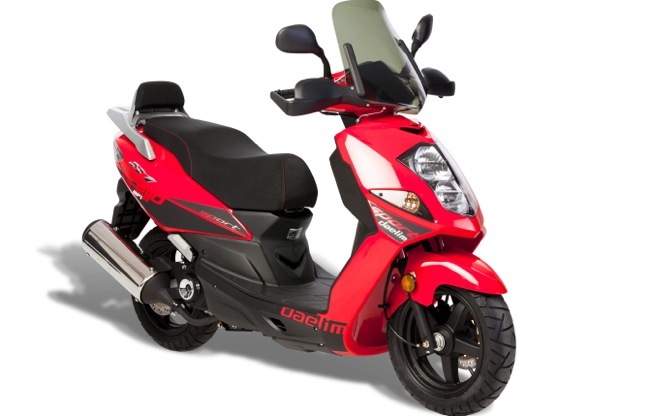 Daelim Australia have recently given the S1 a birthday with new pricing and a fresh bright red colour scheme. The Korean built scooter setting new standards for the budget class at $2990 plus dealer and government charges. Daelim is raising the bar with a list of standard features found on the S1 for the price. Disc brakes front and rear, fuel injected engine, multi-function digital/analogue dash and 12 volt charger. 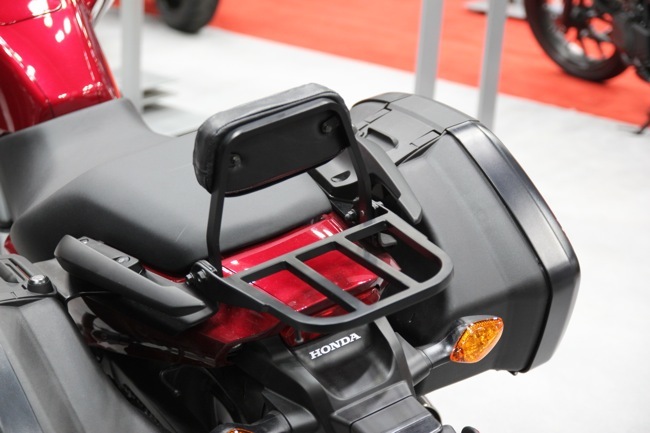 The S1 is also complimented with a generous underseat storage and passenger backrest. What has made the recent drop in price even more remarkable is the addition of standard accessories(free). Included in the price is top box, screen and hand guards. This makes the Daelim S1 easily one of the best value, best quality, commuter scooters priced under $3000. New pictures of the Daelim S1 in red have now been released. Pete gives us a quick glimpse of his upcoming review of the new LX150 3V. The new Vespa LX150 i.e. 3V is creating a great deal of talk around scooter circles with its all improved 150 (actual 155 cc) 3-valve engine. Piaggio have big wraps on this engine, it’s supposed to be lighter, provide more power and more torque than previous generations. On top of that, fuel economy is improved by 30%, and the service intervals are now out to a massive 10,000 k’s. 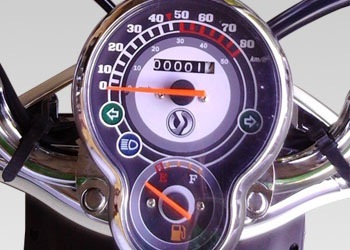 Steve, at Ace Scooters in WA, recently posted on the Scooter Community forum, “The extra torque is quite noticeable, I've had our demo on the freeway up to a reported 110k/h (not GPS checked) with a bit more to go, and it's still done less than 500 km's“. So when Al rolled up the garage door and showed me the little aqua green LX (Ed:Verde Portovenere Pete! ), my first impressions were the wheels looked tiny, the wheelbase seriously short, it was almost like a toy. I’m thinking - tiny Vespa, very chic, but will it live up to the hype? 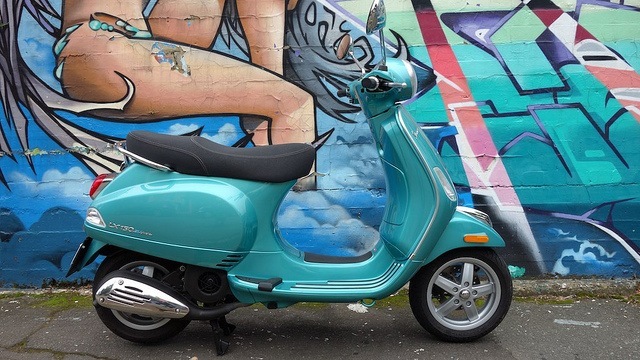 Costing about 6 and a half grand you could just about buy two Piaggio Flys for the price of this pint sized Vespa. More importantly for around an extra grand you could buy yourself a GTS250, a model I actually own. I felt a bit ridiculous sitting on this scooter for the first time, well aware of how comical it must have looked for this 90 kg gorilla to be astride this tiny aqua green scooter. So will the Vespa LX150 3V impress this big gorilla, will it live up to the hype, who will it suit? 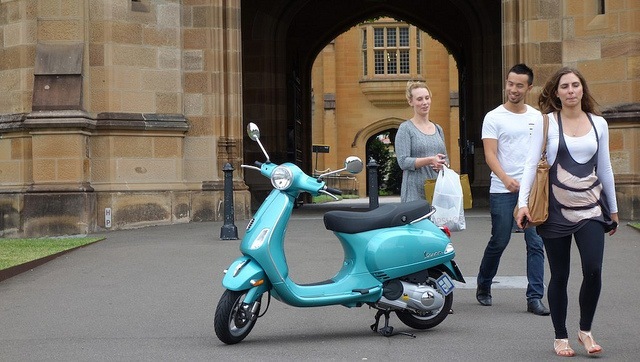 Check back shortly for our Scootersales.com.au review. Pete Gailey is a respected member of Australia’s scooter community. Pete commutes on his scooter(Gilera 180SP) every day, has ridden many of the scooters on today's market and goes for long rides each and every weekend with his "Coz We Can" crowd. Pete has a love for scooters and two wheels that will relate to many. We’ve asked Pete for his feedback and review of the new LX150 3V. An intro to our upcoming Bellavita 125 review. New premium scooter from TGB. 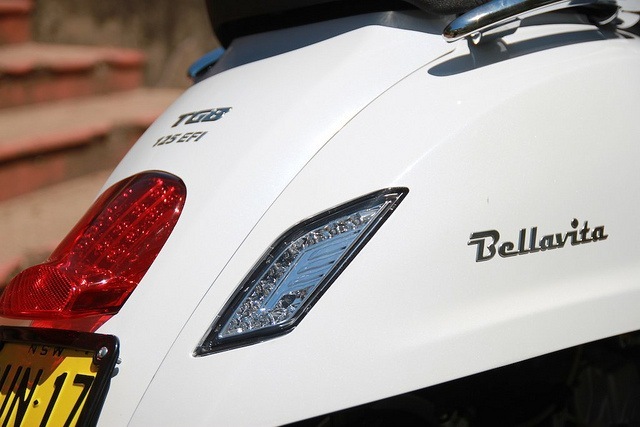 Coming soon, our review of the new TGB Bellavita 125 from TGB. 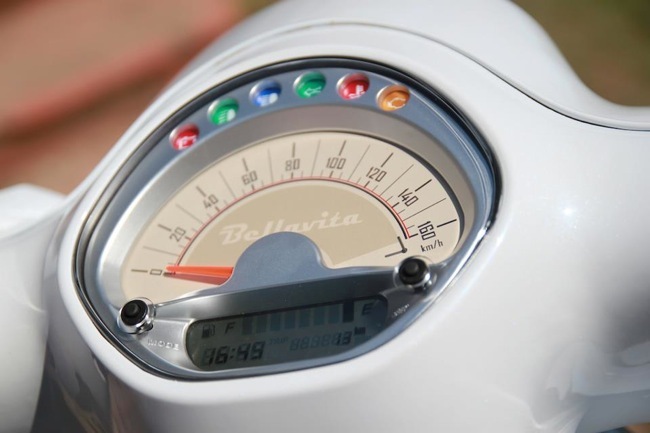 We’ve been spending some time getting all close and personal with the new TGB Bellavita 125. A model that shares the same body and parts as the 300, but in a lesser 125 cc capacity. TGB have entered new territory here. This isn’t just another budget 125 cc scooter, nor is it one of those cheapies. 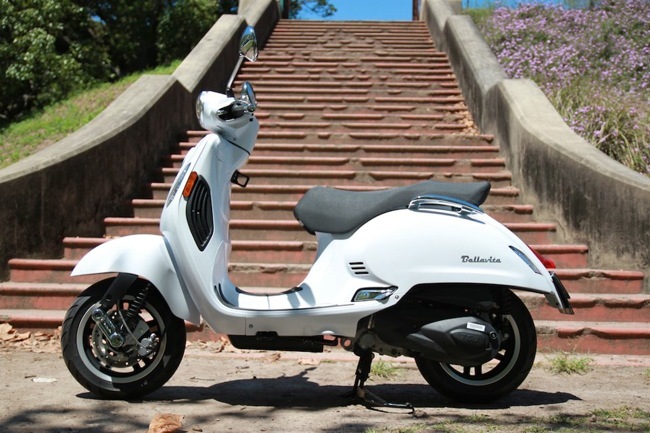 The new TGB Bellavita has all the features, body and size, placing it up against premium scooter offerings that live a little further up the scooter tree. The TGB on paper looks impressive. A motor that trumps all other offerings for power under 150 cc. An accommodating full sized body, classic lines and USB charging station under the seat. 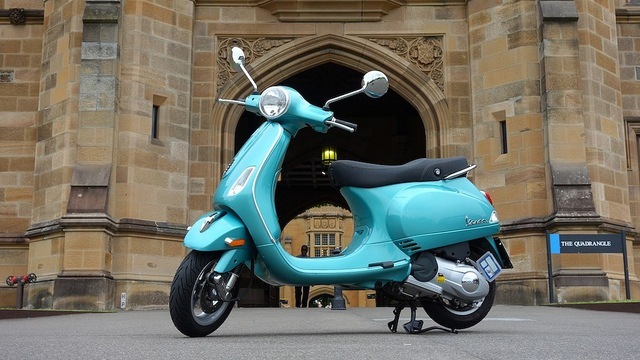 We’ll run through some of the finer details in our upcoming review on Scootersales.com.au. Check back shortly…. 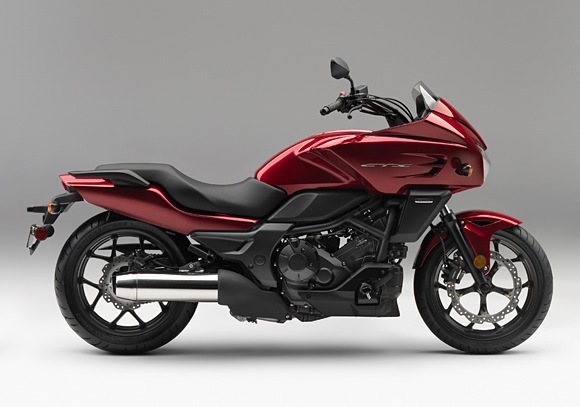 Honda to launch all-new CTX range in Australia. 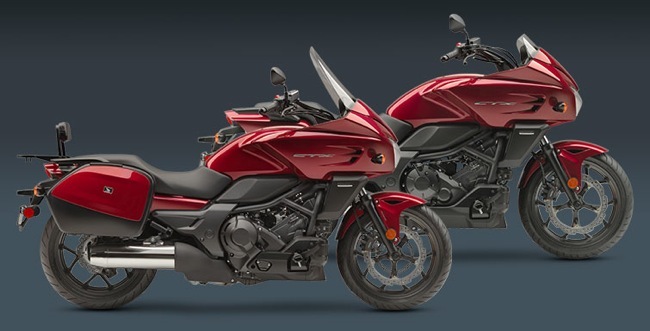 Two new models that feature Honda's DCT technology. 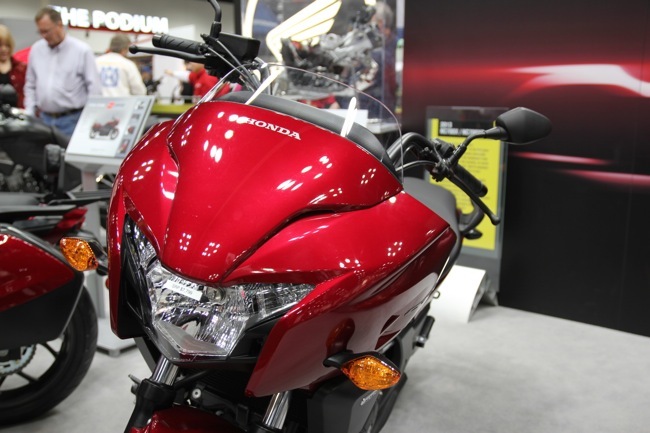 Honda have launched two new cross-over style motorcycles at the recent Chicago Auto Show. 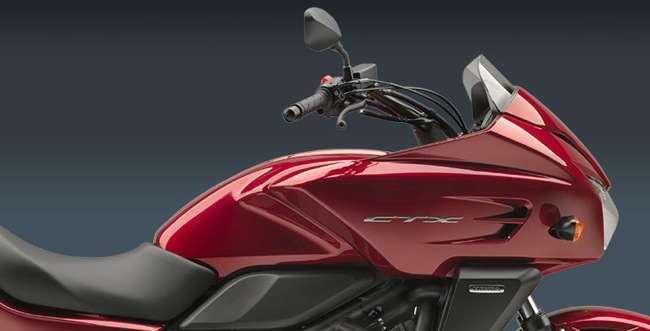 The CTX is a new concept that will introduce a whole new range of people to the freedom of riding a motorcycle. Honda's new catchphrase for this model is Comfort Technology Experience. The CTX gets some interest from us here at Scootersales because of the cross-over between scooter and motorcycle. This type of concept happens to blend some of the strengths of both. 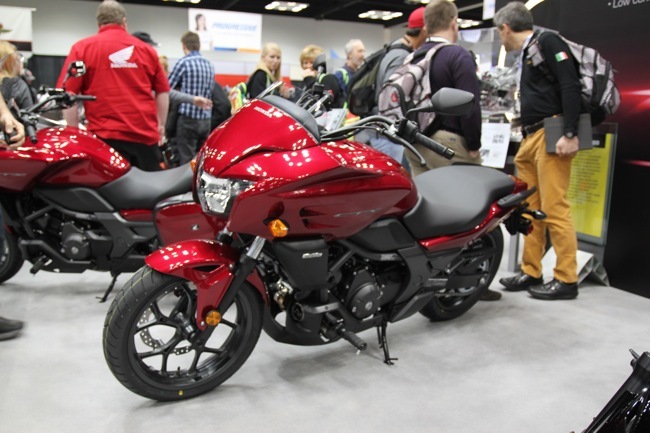 The CTX700N is a light and nimble commuter(N = Naked), the CTX700 is an easy to ride tourer. Both models will feature Honda's Dual Clutch Technology(DCT) as an option and the 670 cc long-stroke motor as seen in the Integra. The auto models are designated - CTX700ND and the CTX700D(D=DCT). 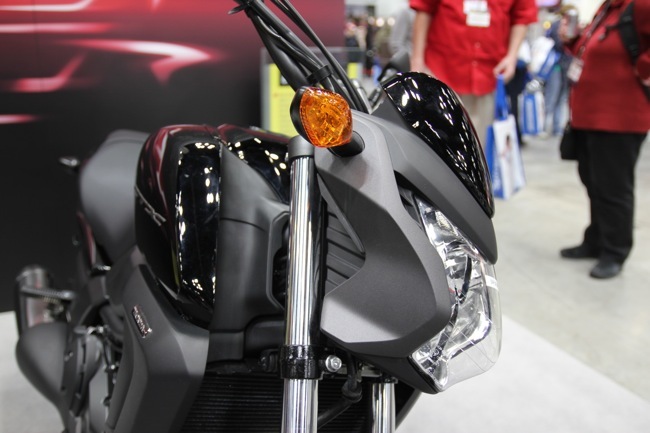 From a styling perspective the CTX series was designed using elements from the new Honda Goldwing. In the USA, the auto version will sit $1000 over the manual. As a guide the CTX700ND will be priced at US $7,990 and the CTX700D at US $8790. The DCT (auto) models will feature ABS standard. Both auto and manual versions share a handy glovebox area where you would normally find the fuel tank. Here you should be able to store a helmet. Honda are clearly continuing down this path of easy to ride, well priced motorcycles for all. The CTX range combines all the attributes to make it appealing to a wide, broad, cross-section of the public. 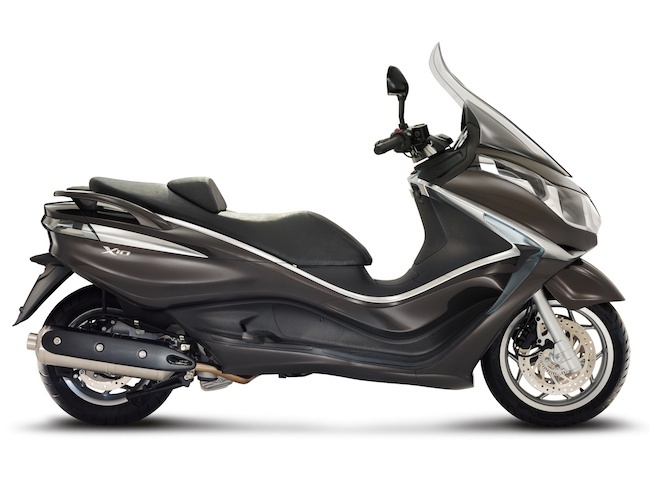 Where the Integra 700 clearly looks like a scooter, the CTX on the other hand is more motorcycle, and in my opinion will be more popular for it. 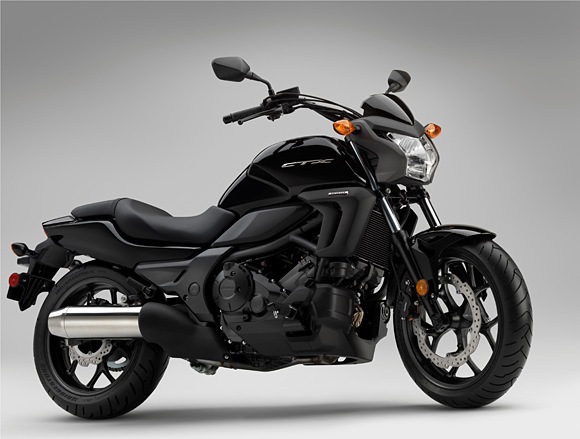 To add to the already exciting line-up planned for 2013, Honda has announced the introduction of the brand-new 2014 CTX series that will commence with four new models that will be available in Australia in mid 2013. Designed to offer an innovative new concept motorcycle which will be fun to ride, offer excellent value for money and attention grabbing good looks, the series will feature the naked CTX700N and the faired CTX700 with DCT variants of each. With CTX standing for Comfort, Technology and Excitement, this brand new series is the beginning of a new Honda family that will feature various displacements and engine configurations that will be rolled out in the future. These first CTX machines will be powered by the NC700SA’s purpose built, parallel-twin engine and will focus on premium lightweight handling and excellent ergonomics making them ideal for all types of riding. The sophisticated, liquid-cooled, SOHC, eight-valve engine pumps out abundant torque in the low- end and midrange for easily accessible power. An impressively broad torque curve gives the CTX700 series a linear and smooth power delivery while a relatively long engine stroke and a high- inertia crankshaft are design elements that add to the extremely tractable power. 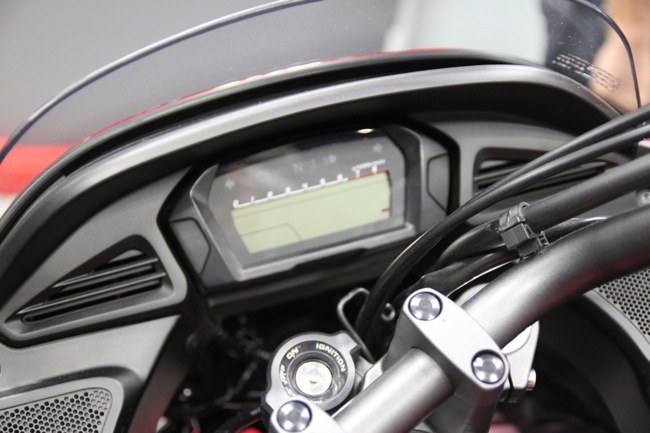 Programmed Fuel Injection (PGM-FI) continuously monitors numerous variables to ensure the correct fuel mixture for existing riding and atmospheric conditions, thereby delivering optimal performance and remarkably crisp throttle response over a wide range of operating conditions. A rigid and compact diamond-shape steel frame, low centre of gravity and plush suspension help make the CTX700 series responsive, agile and enjoyable over the long haul. Designed specifically for enjoying the open road, the CTX700 will be the ideal travel partner for exploring the countryside either alone or two-up. Open, roomy ergonomics position the rider in a well-balanced seating position for all-day comfort and efficient fairing and a sizeable windscreen divert wind around the rider thus reducing fatigue. 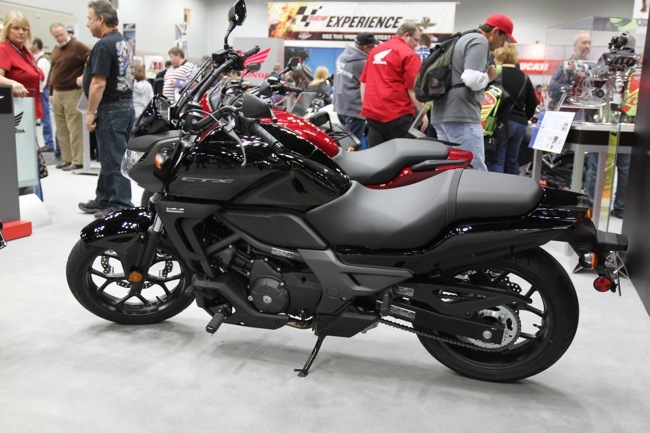 Embodying the same characteristics as the faired version, the CTX700N with its naked styling will be a fun, friendly and comfortable motorcycle that is perfect for everyday rides and weekend trips. The core principal of the new CTX series is to bring an enjoyable, comfortable and secure experience to riders of all sizes and experience levels. The CTX700 and CTX700N are available with Honda Dual Clutch Transmission (DCT) labelled CTX700D and CTX700ND respectively. This second-generation, automatic six-speed Dual Clutch Transmission uses two hydraulically controlled clutches to deliver quick and smooth gear changes in a choice of three modes. 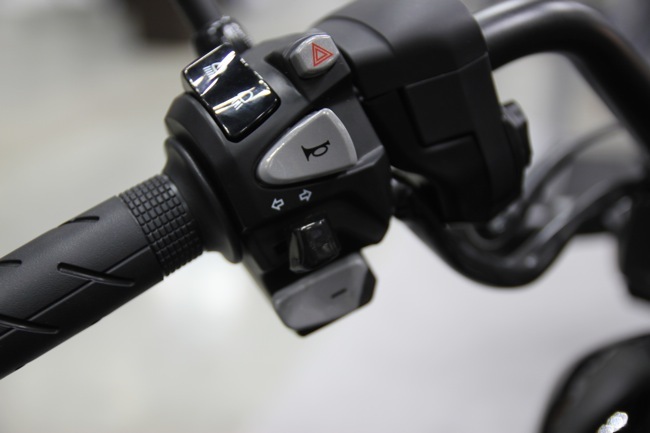 The DCT variants will also feature an Antilock Braking System (ABS) to provide full antilock functionality for powerful and secure braking action. SYM will add a little retro flair to the range this year. The Allo 150 will arrive post winter 2013. Exposed handlebars, classic flowing lines, the Allo will join the SYM range this September. The Allo will be available with a 4 stroke 150 cc engine. 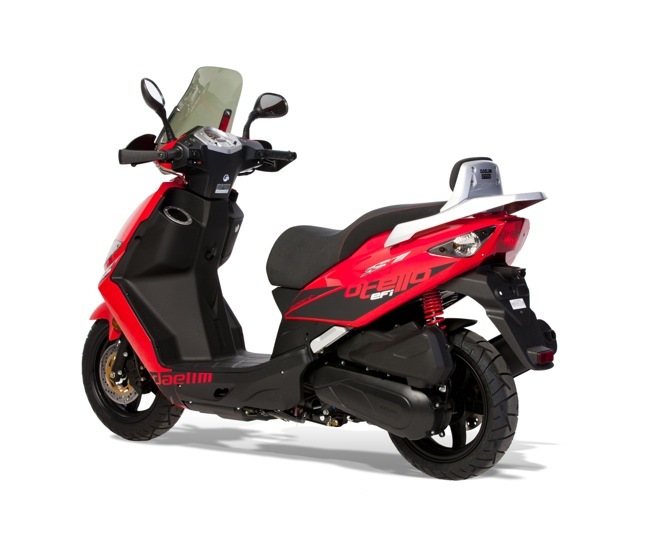 It will come with standard scooter features like underseat storage and front disc brake. The Allo comes with 12 inch wheels on the front and on the rear. Where the Allo is bound to grab attention is in the looks department. Chrome bars, mirrors, passenger grab rail and a big round retro styled headlight. Not forgetting the big round retro speedo. We'll be releasing further model information as it hits the desk. Looks like being a big year for the SYM brand in 2013. 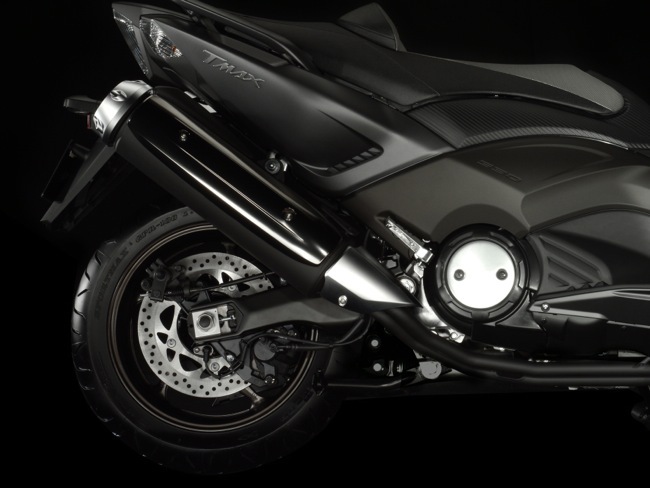 01 February 2013 - After already impressing riders with its practicality, value and fun, the NC700SA will impress riders with its two new colour schemes in 2013; Graphite Black and Metallic Silver. Available in Honda Dealerships nationally in May 2013, these new colours will enhance the already popular commuter adding to its naked styling and practical appeal. Since its release in May 2012 the NC700SA has been receiving rave reviews from riders and critics alike with most commenting on its outstanding value for money - it has a MLP of just $8,550 - and its practicality as a commuter. 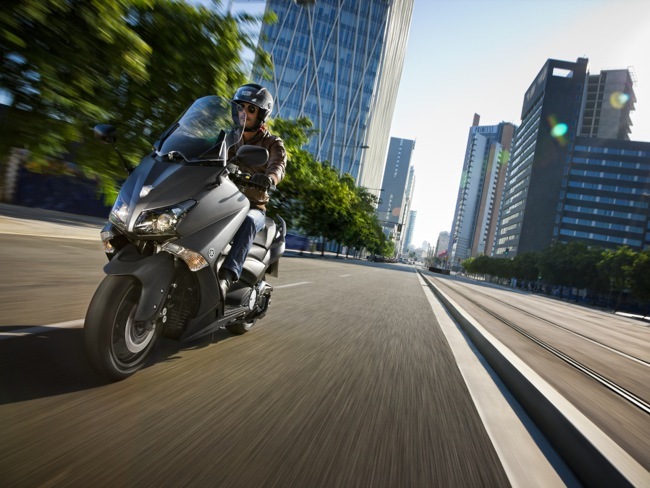 Adding to the machine's versatility, Honda's NC700SA boasts an internal storage space large enough to hold a full-face helmet. 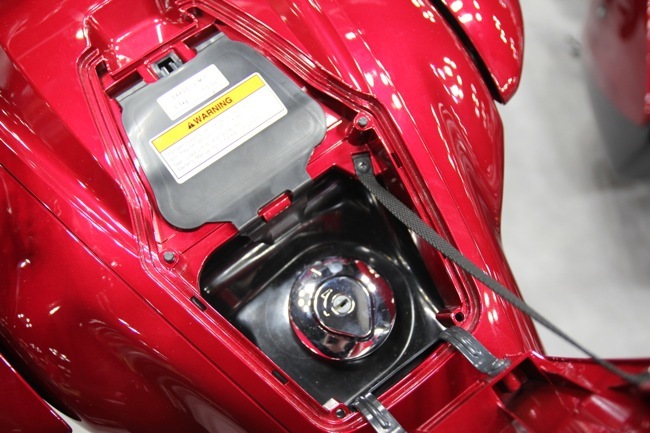 This feature, found where the fuel tank is usually located, is not commonly found on many tradition motorcycles. 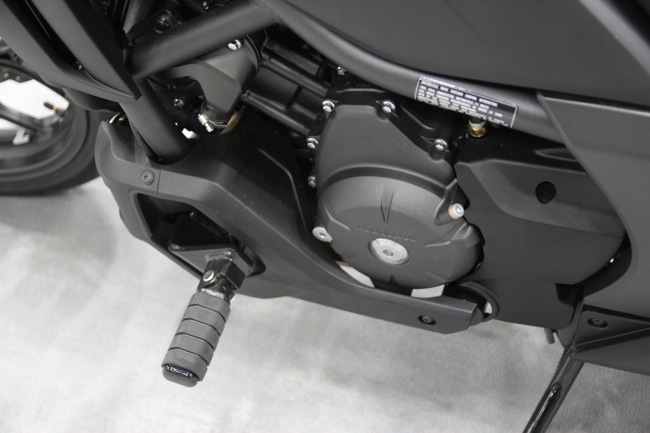 To ensure powerful braking performance in all conditions, the NC700SA comes standard with a Combined Antilock Braking System (C-ABS). 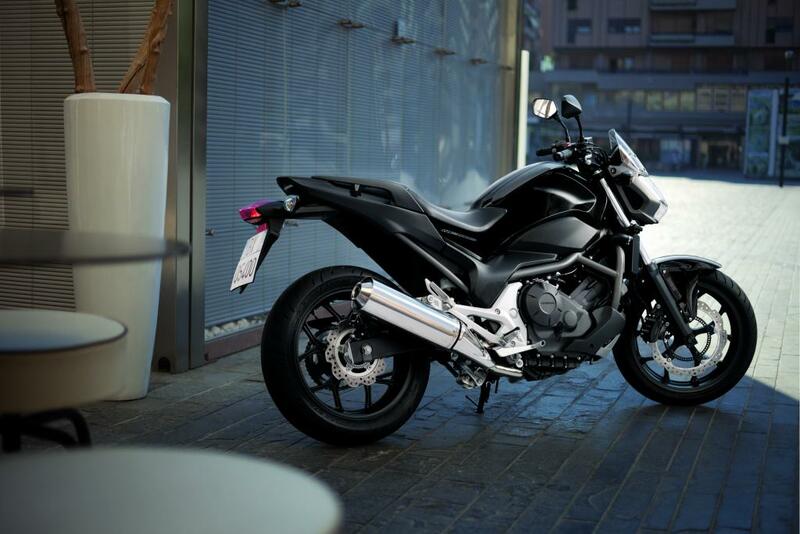 Combining the practicality of a commuter together with the distinct style of a naked motorcycle, the NC700SA will arrive in Graphite Black and Metallic Silver in May 2013.